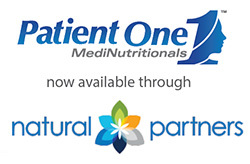 Farmingdale, New York (June 1, 2015) – MediNutritionals Research LLC announced that it has selected Natural Partners, Inc. to be the exclusive distributor of its Patient One MediNutritionals product line. This partnership provides added convenience for healthcare practitioners who may also wish to order through the customer service team or online store at Natural Partners. For the past 20 years, Natural Partners has been providing a convenient way for healthcare practitioners to purchase high quality, professional brand natural supplements all in one place. Their customers include naturopathic, medical and chiropractic doctors, nutritionists, licensed acupuncturists, and integrative practitioners, along with their patients. Patient One’s diverse range of medinutritional formulas feature today’s most advanced ingredients supported by clinical data. Patient One products span categories including Cardiovascular Support, Immune Support, Digestive Support, Bone and Joint Support, Cognitive Support, Endocrine Support, Healthy Aging, Detox and Weight Management, Emotional Wellness, Men’s & Women’s Health, Eye Care and more. 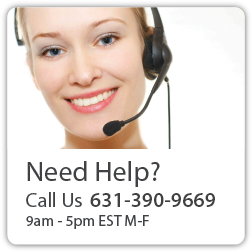 For more information, visit www.patientoneformulas.com or www.naturalpartners.com.